Jeeraka kanji ..the porridge to boost your immune! It’s been like ages that I have been wanting to post on my space.. There’s loads of things that had gobbled up my time to write n my blog. Well when school closed up for the monsoon vacations this time round I was the most eager one compared to my munchkins to go “home”.Oh yes…even though you are married although you have a home here ,you still quote ur parents place as “home”. It’s not only my personal experience,but I think most women have this “home”sickness.I really chucked on this only when my colleague brought it to my notice.It was almost a month that I got with my parents in Thrissur..but this time round there came up a few surprises with media interviews, write-ups and the best part was being felicitated by the Thrissur Mayor , Mr.Rajan Pallan at the Council Meeting. Karkidaka masam/Ramayana Masam /Karkidaka month is considered the last month ie. the twelfth month according to the Malayalam calendar followed in Kerala.This year the Karkidaka masam started on July 17th and ends by August 16th.The sacred scripture , Ramayana is recited during this month and so this month is also known as the Ramayana masam. It is to welcome the new year ie.The Chingam month that the Ramayana is recited from the starting to the end of the month. In Kerala , Karkidaka kanji is very famous which is a medicinal rice porridge that is very much healthy .The monsoon months are considered to the most appropriate time to have medicinal rice porridge. On my stay in Thrissur , I had the opportunity to meet up with Dr.K.S.Rajithan (Medical Superintendent ) of Oushadi Panchakarma Hospital and Research Institute,Thrissur.Dr. 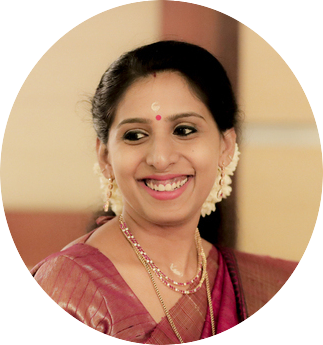 says ,”Its during the monsoons that the immune system of our body deteriorates and we are more prone to sickness, digestive issues and many ailments. .Our ancestors used to have many practices with Ayurveda to boost their immune system . So this is in fact is the most suitable time to have different kanjis (rice porridges) in your diet.” During my period of stay in Thrissur there was a “Kanji Mela”(Rice Porridge fest ) organised by the Oushadhi Panchakarma Hospital Canteen.It was indeed a feast out there with 11 varieties of rice porridges each with special benefits.It was the Kudumbasree unit(a women empowerment cluster ) working in the fabrication of flavoursome dishes and variant rice porridges. So coming over to the recipe, for this post..it is Jeeraka kanji /Cumin rice porridge.The courtesy for the recipe goes to Dr.Rajithan. This is a pretty easy recipe and its only the ingredients that you have to get hold on to to make the medicinal mix.Its best to have it for 14 days in the monsoons..
 Store this mix in an airtight container.  Wash the rice and cook it in a vessel with the required amount of water.  When half cooked add in the powdered mix.  Take care to keep stirring the porridge and keep on medium flame.  Pour in the coconut milk and add salt.  Cook till the rice is soft. So enjoy this monsoon the healthy way! Here’s a glimpse of the media coverage..
Start off Monsoons with… Coconut Rasam! Hah! Laggin on posts ………………………. I’m not able to update up my news after Beijing….Its been running around most days ………travelling up and down ,classes, school,kids, welcomings, interviews…….Achoo…………… sniff.. …..Achooooo…..yikes its Monsoon back in Munnar and I have been haywire in my schedules…latest update am down with a cold…..Sniff! Sniff! Theres just one more week left for the school to close for monsoon vacations here in Munnar.. 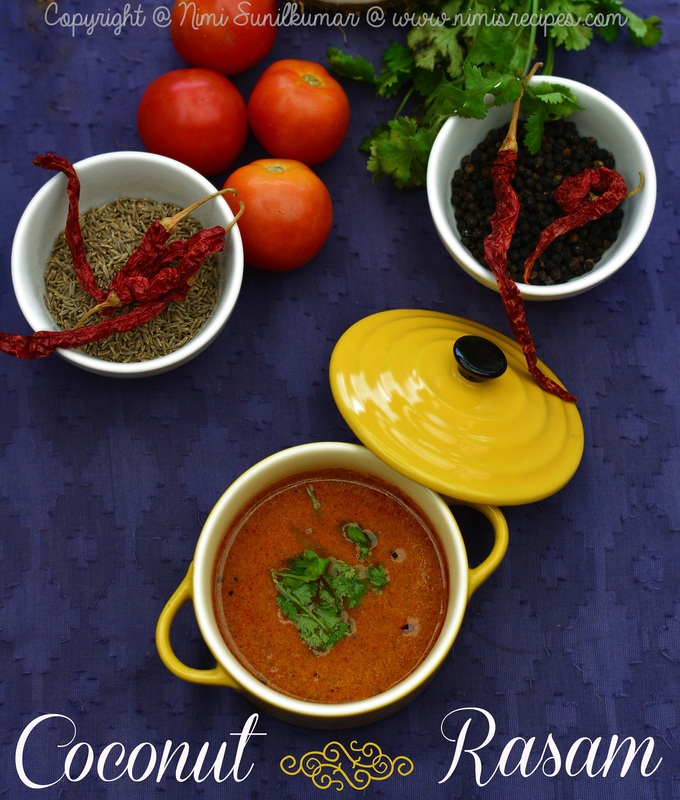 Season is up for coughs and colds……so how about a special rasam?? 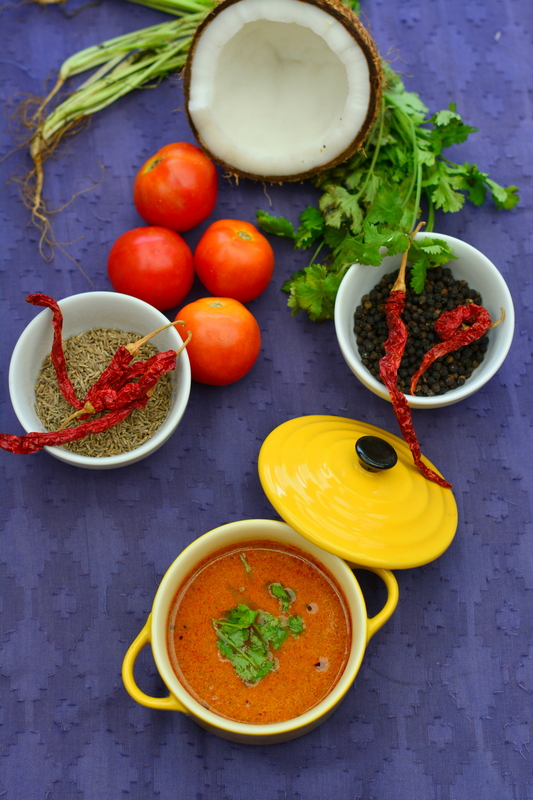 ?This Rasam is the best thing to have with rice if you are down terribly with a cold or fever. It’s more like a curry in its looks but is super Yumm soup!  Slice the tomato and grind it into a paste and mix it with the coconut mix. powder and chilli powder, fry and pour in the ground mix.  Keep stirring and when it starts boiling; add in a cup of water and salt to taste.  When simmering, mix in asafoetida powder and a few chopped coriander leaves. Serve with rice and enjoy the monsoon. How should I start off? I am head over heels in happiness that my hard work is paying out as fruits..Ok so I am back in Munnar after a week’s spree tour and happenings in Beijing. The best news that I have to share is that my book has bagged the third place as for the “Best Local Cuisine book in the world.”Gourmand World Cookbook Awards also known as the Oscars of Gastronomy was founded by Edouard Cointreau .To be a part of it was really an awesome experience. Getting to meet the top personalities in person, learning and sharing insights on each other’s books….. It was an experience that I could have not even dreamt of. 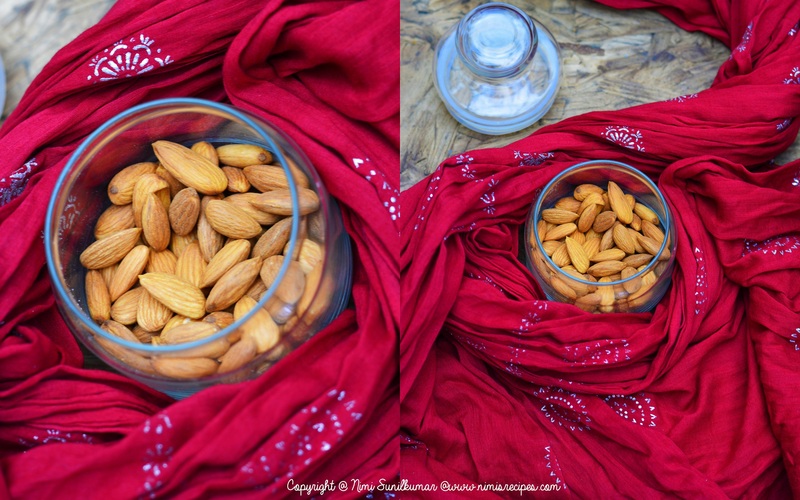 Grind the almonds with milk to a smooth paste.  In a saucepan boil water and mix in the sugar till it dissolves and keep aside.  Turn off the flame and mix in a teaspoon of ghee. 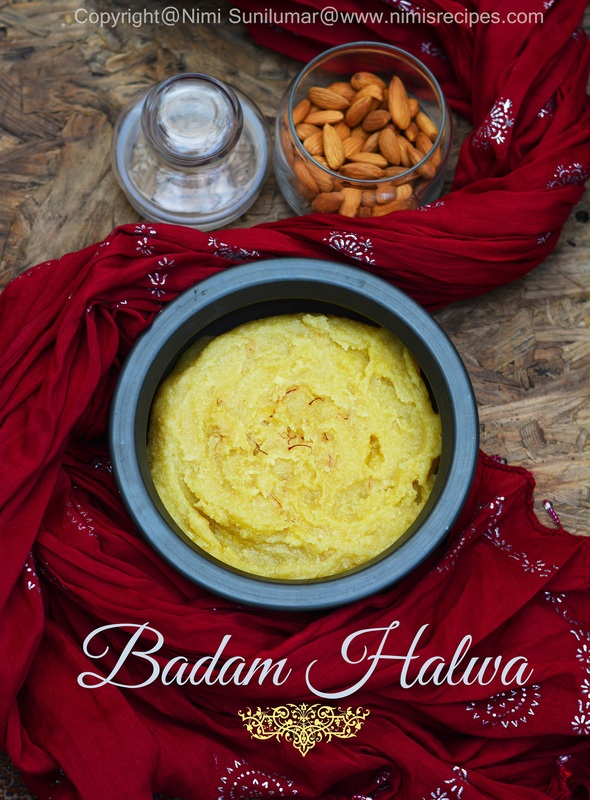  Devour on your badam halwa! Cook the rice in 5 cups of water. Each grainn of the cooked rice should be seperate. Set aside to cool . Heat a tablespoon of oil, add the mustard to pop.Add the dals , stir for ten seconds till golden .Add the chillies and fry till it turns a bright red.Add the peanuts and saute for 20 seconds. Add tamarind pulp , a cup of water , turmeric powder, asafoetida and salt.Cover and simmer over a medium flame for 5-7 minutes.Open the lid and cook until it becomes a thick sauce .Add the remaining oil and take it off the stove.This is called pulikaachal.Mix the sauce and rice well without mashing it.Wet , crush the curry leaves add and stir for 5 seconds.Keep the tamarind rice for a couple of hours before serving.Add1/2 teaspoon of jaggery to balance the hot and tangy flavour of the tamarind rice.A dash of fresh lemon juice will make the dish more exotic. So Happy tangy tamarind cooking ……:) ! Green peas in season …time for Peas Rawa ! 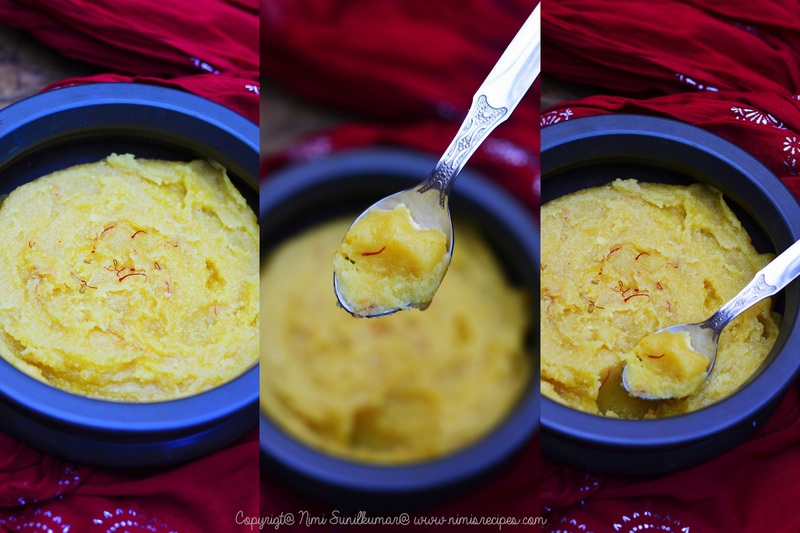 I was recently featured in the Deepika news portal..
Roast semolina in a teaspoon of ghee till light golden brown and separate.Heat a wok, pour oil or ghee, splutter mustard seeds, saute green chillies and onions till the onions caramelize.Add in the green peas , fry them a little , pour in the water, let it simmer, add in salt to taste , asafoetida and let it cook.Once cooked , add in the semolina , stirring continuously .Add lemon juice , stir well and cover and leave on low flame for five minutes.When done turn off flame mix in chopped coriander and grated coconut and serve . Trying to stick on to my resolution for 2014..starting on my blogging spree this post is very much for my little ones most favourite masala vadais ..a typical Tamilnadu recipe.These spicy fritters are simply great with coconut chutneys. I am posting here a write up that came up in Rashtra deepika ..a regionalnewspaper..
Tangy twist with Panchmel Dal! Heres an interview on me which was printed in the magazine Sthreedhanam (Deepika Newspaper) in this months issue..
Clean and wash the lentils.Pressure cook them with 4 cups of water till the lentils are cooked.Keep aside.In a bowl combine the ingredients for the masala paste with 3 tbsp of water to mix well to make a paste.Keep aside.Heat ghee in a pan and add cloves , bay leaves , cumin, green chilllies and asafoetida. When the cumin seeds crackle , add the prepared masala paste and saute on medium flame fo rabot 1-2 mins.Add the cooked dal , dry mango powder, tamarind pulp and salt and simmer fo r5- 7 minutes.Add water if required.Serve hot with rotis!